We think February is the best time of the year to plan a getaway with your loved one. It’s a chance to reconnect during a time of the year when everything seems a bit slower. 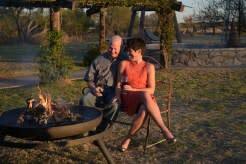 Now is the time to plan your Winter Romance Getaway trip to Granbury! We have some recommendations on cozy places to stay, delicious places to eat, and a variety of activities to help you reignite or keep that spark alive. The Iron Horse Inn Bed & Breakfast is the largest restored historic home in Granbury. From luxury guest rooms to a two-suite ranch house, this B&B has plenty of options! We love strolling the grounds of this craftsman style mansion. Add the I Love You More package to your stay, and receive a bottle of local wine, a dozen roses, and a dessert of your choice in your room. Baker St. Harbour Waterfront Bed & Breakfast offers lovely waterfront views, and optional amenities that include in-room massages for two, perfect for a romantic retreat. Bountiful family-style gourmet breakfasts are served in a spacious kitchen overlooking beautiful Lake Granb ury. 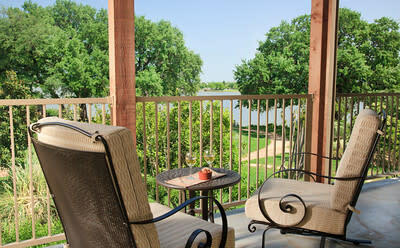 The Inn on Lake Granbury is perfect for a luxurious weekend getaway destination. We enjoy the landscaped grounds, the saltwater pool with a waterfall, and the lake views. Some of the rooms also have jetted tubs, fireplaces, and large showers with body jets and steam units. The Inn is just a short walk from dining and walking. All guests are treated to a full breakfast in the morning, and complimentary appetizers and wine every afternoon. If a bed & breakfast is not your style, you may want to check out the Nutt House Hotel located right on the square. Built in 1893, it is ideal for people with a love of history and a desire to be just a hop, skip, and a jump away from dining, shopping, and fun activities. For a complete list of places to stay in Granbury, click here. Once you have booked your accommodations, you may want to start planning your activities. You can socialize while sipping wine on Friday, February 5 at Barking Rocks Winery, during their first Friday of the month event. Enjoy live music, bring a food item for a pot-luck feast of snacks, and enjoy your wine from the comfort of a converted rock cattle-barn. You can hold hands and enjoy the soothing sounds of nature during the first Saturday Bird Walk at Acton Nature Center on Saturday, February 6. Enjoy a night at the theater during your romantic excursion. “Happily Ever After” will be performed by the Granbury Theater Company on Friday, February 12 and Saturday, February 13 at the spectacular Granbury Opera House. You may choose their optional dinner package, to enjoy a whole evening of love. We recommend a stop by gourmet shop Pan Handle for cooking tools, as well as premium ingredients like European olive oils. We are very excited about their Love Potion class on Sunday, February 14, where you can learn how to mix intoxicating cocktails for you and your honey. Music, Massage and Merlot will be happening at D’Vine Wine of Granbury on Friday, February 26. Bring your sweetie along to sip some wine, listen to some relaxing music, and experience a massage! Shopping is part of the fun every time you are in Granbury! You can find a complete list of downtown shopping here. One of our favorite places to stop for a cool weather gift is Home Sweet Home Bedding and More, where you can find a snuggly throw blanket and silky smooth bed linens. All of the shopping and fun activities will leave you hungry for a romantic meal for two with your love. For a meal as hot and spicy as your feelings for one another, you may consider Pearl Street Station. Here, you may select from Cajun and BBQ cuisine. For fine dining, Eighteen Ninety Grille and Lounge is your best bet. You may enjoy a perfectly prepared steak or pan seared ahi tuna. It is a meal you will not soon forget. On Sunday, February 14, D’Vine Wine will be hosting a romantic dinner from 6-9 p.m. The cost is $125 for two, which includes dinner, wine, tax and gratuity. Reservations are required. A complete list of Granbury dining options can be found here. We hope you enjoy your romantic getaway in Granbury! 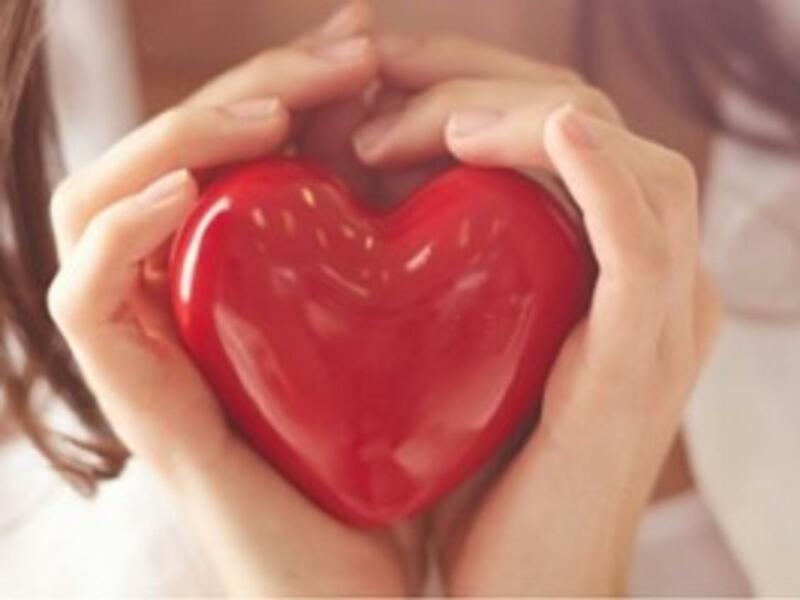 In the comments below, let us know about your favorite thing to do with your sweetheart here in our beloved town.